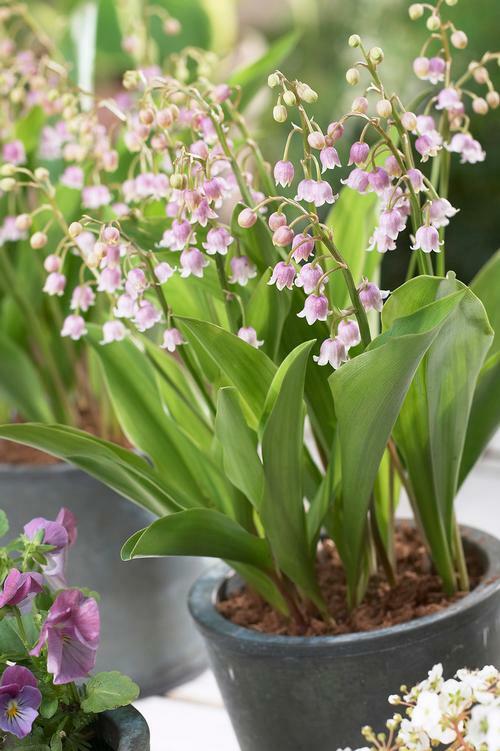 A pink flowering version of the traditional Lily of the Valley, fragrant, dainty bell shaped flowers appear in late spring, works well in the shade as a ground cover. Wonderful fragrant ground cover for shady areas. Plants spread by underground rhizome and bloom early spring.